The technology and appearance of composite materials have advanced over the last decade. Fiberon® “invented” the current state of the art in composite decking. The products on this page represent the “best in class” for your composite deck. If your existing deck boards are looking a bit worn, but the foundation and deck framing system are sound – C&L Ward® can simply replace the walking surfaces and railings with Fiberon® composite decking and railing. 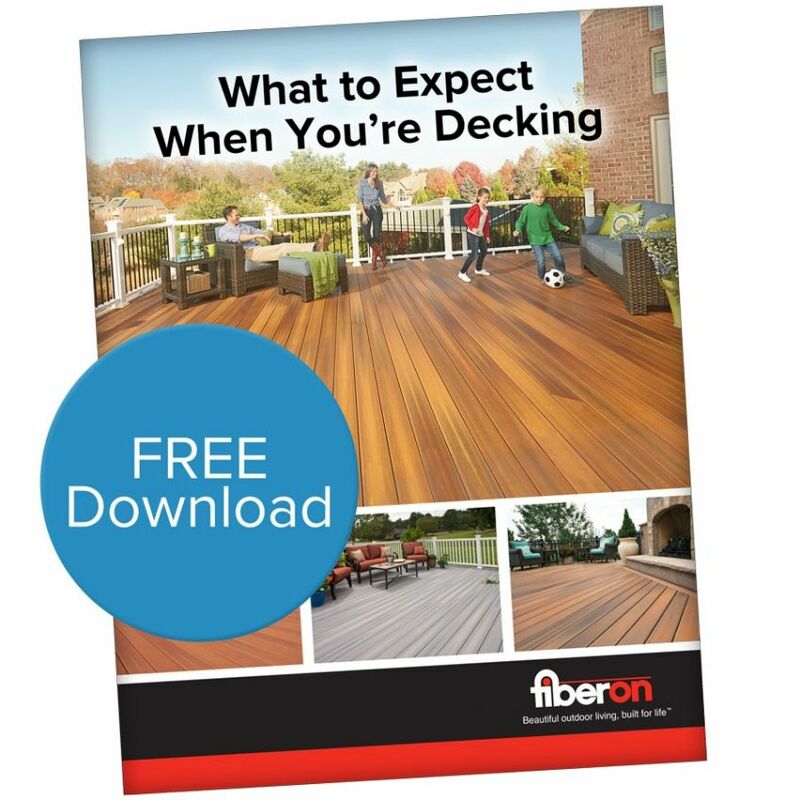 It’s an ideal way to save time and money, while enjoying all of Fiberon’s benefits over wood. Our installation team has the proper training and tools to complete most deck resurfacing projects in 1-2 days with virtually no disruption to your existing landscaping. Choosing C&L Ward® to resurface your existing deck is a great decision that will increase the value of your home and eliminate tiresome annual deck maintenance. Spend more time enjoying your deck this summer and less time working on it – Schedule a Free In-Home Consultation today! These are a few considerations for care and maintenance of your composite decking. Ensure minimum 6″ ventilation under deck and required spacing between decking boards. Improve drainage or grade soil to eliminate standing water under decks. Direct downspouts, downspout extensions and splash guards away from decks. Position dryer vents away from decks. Maintain a deck that is dry and clean. Clean your deck as often as needed, at least twice each year. Use extreme caution with pressure washers and use at pressures less than 1,500 psi at 12″ above deck surface. Pressure washing is not recommended when mold/mildew are present on the deck. Keep debris out of gaps between the decking boards so rain showers can remove pollen and organic debris between cleanings. Minimize the use of wet mulch up against the deck structure. Items stored directly on top of the deck surface, such as flower pots, prohibit water evaporation and can cause some staining of the deck surface.